Gear Check: My New FlipBelt Rocks! Hip Hugger: I slip in my ID, iPhone, and keys, give the tubular pocket a flip, and the FlipBelt secures everything inside. I’m really proud of myself for not being too spendy lately, but a recent trip to Sports Basement put me to the test. All I really “needed” in there was a water bottle, and instead of walking out after only buying that, my hands were very full on the trip back to the parking lot. I had refused the bag at the checkout counter, choosing to leave the store clutching the bottle and an extra goody, like a 5-year-old with a new toy. I’m happy to report that my money was well spent, and I ended up “needing” a FlipBelt after all! The FlipBelt is a game changer. It seemed a bit risky to try it out on an 8-miler this past weekend, but I was almost home again when I realized I hadn’t thought about it once. The FlipBelt fit flush against the waistband of my shorts, the stretchy fabric didn’t ride up, and it never bounced, not once. My next runs with it were just as fantastic! Have you picked up any great gear lately? 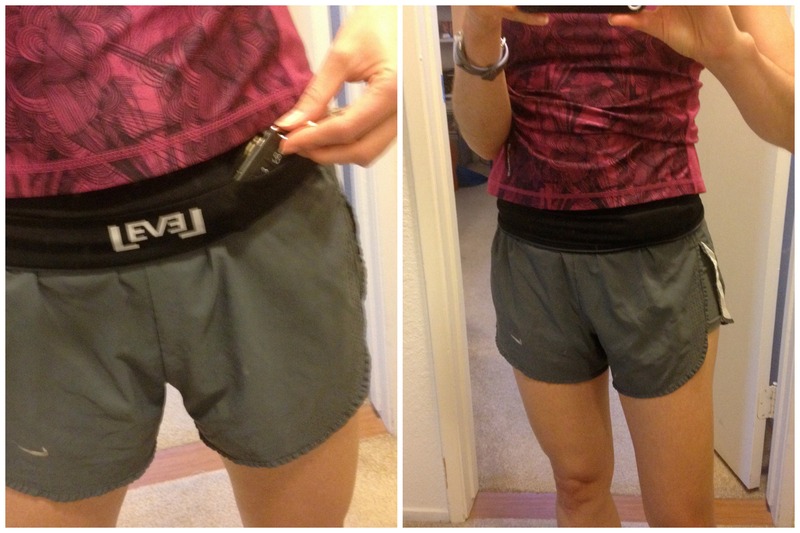 How do you carry your necessary items when you’re running? Disclaimer: This post was all me. I didn’t receive compensation or nudges of any sort from either of the companies mentioned. I love love love my flipbelt too! I have the purple Flipbelt, and I absolutely love it. I never wanted to wear something around my waist, but I don’t even notice it.